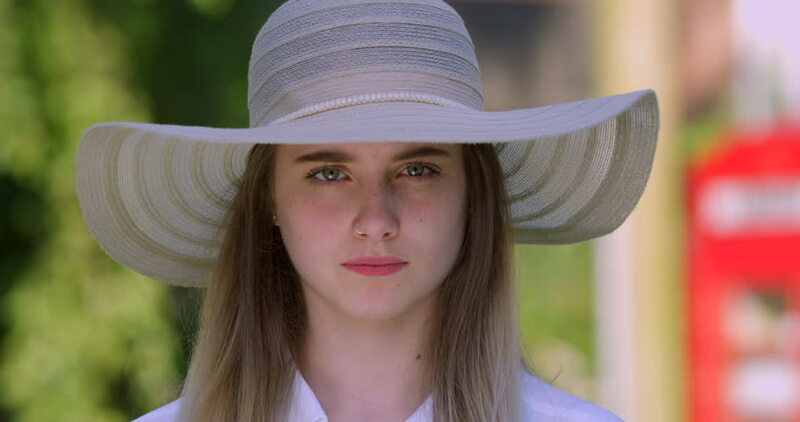 Portrait of Blonde Teen Girl with Sun Hat and Long Hair. Young Pretty Woman beside British Red Phone Box. Classic English Rose Model on a Summer Holiday Break in London Town. hd00:08Close up view of asian fashion kid model in fall/ winter clothing.